Another third-generation Fossil Q watch arrived in November of last year - the Q Control. 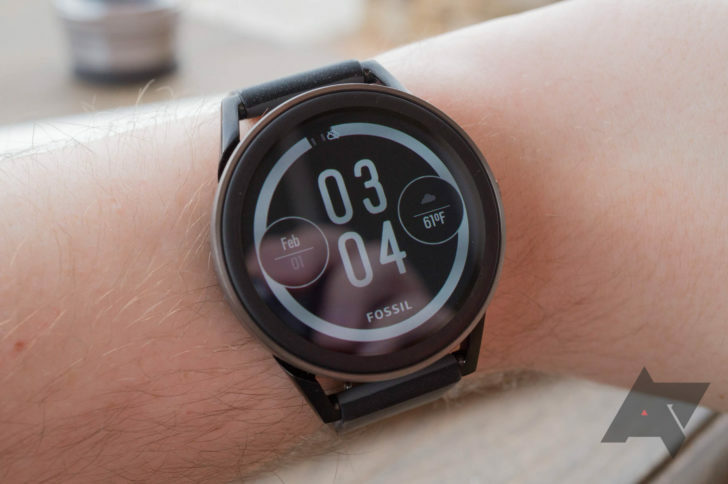 It's the first sports-oriented smartwatch under the Fossil brand, and its design stands out from the company's other watches. 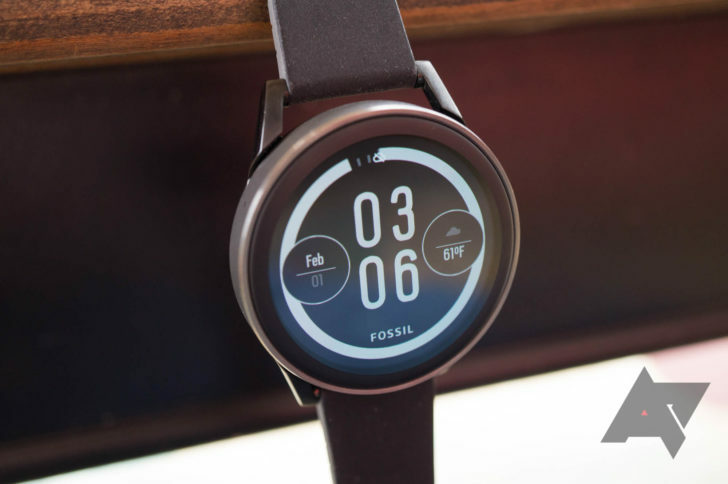 Is the Fossil Q Control worth the asking price of $275? The answer, in most cases, is no - but not because it's a bad watch. Design This is a very nice-looking watch, more similar to the Moto 360 than traditional timepieces. Water resistance You can use the Q Control to track your swimming workouts. Battery life The watch can easily last an entire day, or two if you don't use it much. No GPS You can't accurately track your runs and bike rides, unless you take your phone with you. No NFC Android Pay isn't available on this watch. Cost This is essentially a rebranded Misfit Vapor that costs $75 more. First, let me address what I'm sure many of you are thinking. Yes, this looks almost exactly like the Misfit Vapor. In fact, there are almost no design differences between the two watches. They have the same round screen, the same steel body with a tiny side button, the same lugs, and even the same hardware specifications. Both watches come with silicone bands, but they have slightly different designs. 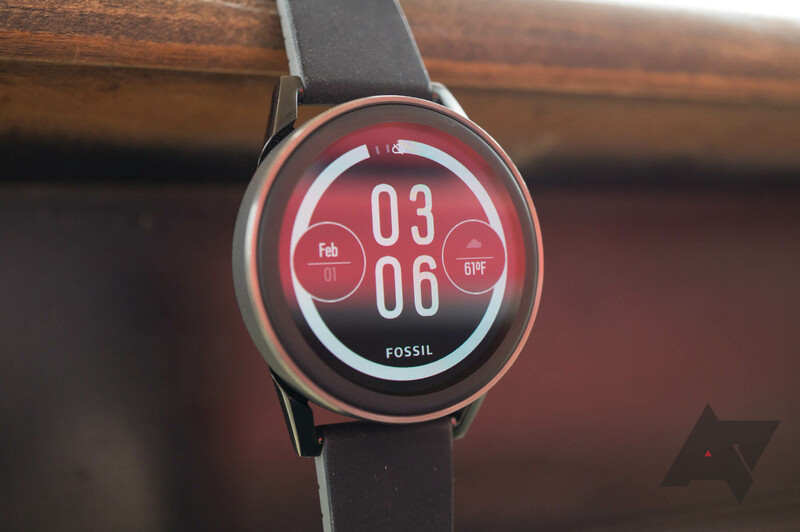 This doesn't mean Fossil is 'stealing' the Vapor's design - as mentioned above, Misfit is one of Fossil's many brands. In reality, the Fossil Q Control is essentially a rebranded Vapor, with some minor software differences. I'll go into detail about the software later. Original or not, I have to say I really like the Q Control's design. It looks incredibly sleek, with its steel construction and fully-round screen. The original Moto 360 turned heads with its almost-futuristic design, and the Q Control feels like another iteration of that design. Speaking of the display, it's 1.39 inches across with a resolution of 450x450. Text and images look sharp on the screen, and navigation is fairly easy. As mentioned above, Fossil finally ditched the 'flat tire' screens with the third generation of Q smartwatches. The Q Control has a fully round display, but it unfortunately still lacks the bezel-less design of the Moto 360. 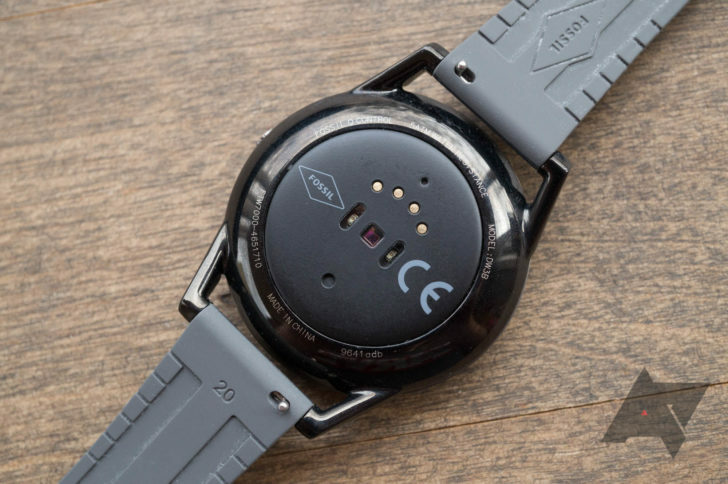 On the back of the watch, there's a heart rate sensor and the charging connector. The included band is silicone, as you might expect from a watch designed for athletic activity. 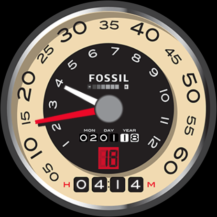 If you want to occasionally swap it out for something nicer, Fossil has made the process incredibly simple. 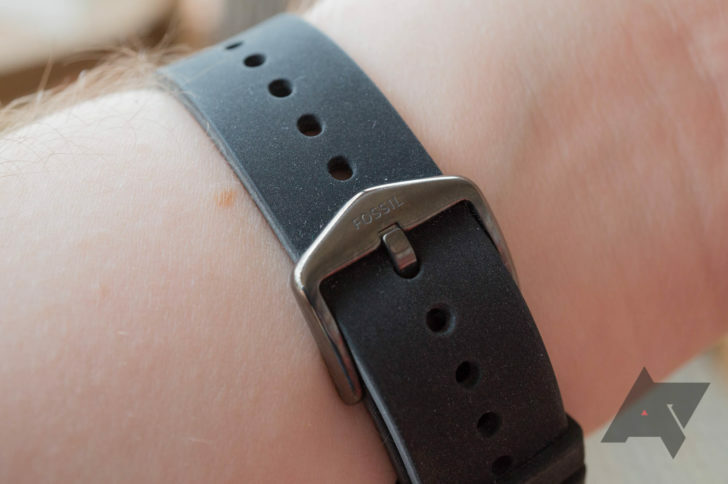 Not only does the Q Control use standard 20mm watch bands, but the included band has a quick-release mechanism, so you don't have to use a spring bar kit like this one. One of the most notable improvements coming from a first-gen Huawei Watch is the ambient light sensor. Just like your phone has been doing for years, the screen will brighten or dim to match the light level around you. 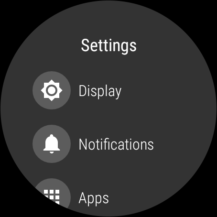 Even though this is far from a new feature on smartwatches (the ZenWatch 3 and LG Watch Sport/Style have it), it was great to not manually adjust the watch's brightness whenever I was in direct sunlight or in a dark room. Another great feature of the Q Control is 5 ATM water resistance, which is better than the IP67/68 that many other wearable have. This means the Q Control can survive splashes, rain, snow, showering, and swimming. However, it's not a good idea to go diving with the watch, as the higher water pressure could break the water-tight seal. 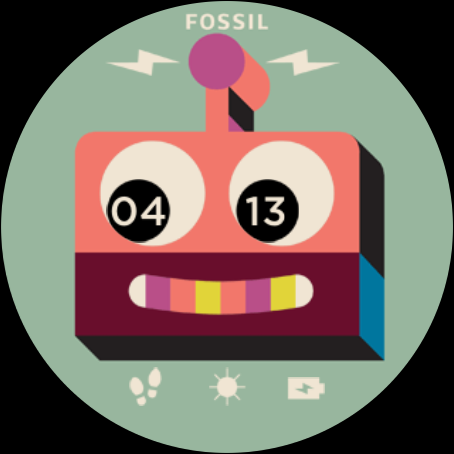 As much as I like the Q Control's design and features, there are a few places where Fossil could have improved it. Firstly, there is no digital crown, so navigation is done entirely through swipes. The watch's screen is large enough where that's not much of an issue (especially since the bezel is not raised), but it would have been nice to have. Secondly, there's no speaker. 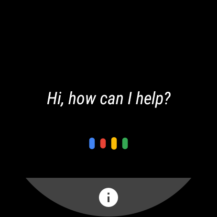 Since Android Wear generally doesn't make use of audio at all (even Assistant responses are text-only), this isn't really a problem unless you plan on constantly answering calls on your watch. The lack of NFC support is perhaps the most obvious missing feature, and keeps the watch from using Android Pay. Personally, I'm torn on it. The demand for an Android-Pay compatible smartwatch that isn't an inch thick (looking at you, LG and Huawei) is high, at least judging by the comments on many of our posts. But the awful experience of using Pay on Android Wear, which David explained in his Huawei Watch 2 review, leads me to believe I probably wouldn't use it anyways. If Android Pay doesn't support your bank/credit union, this is largely a non-issue anyways. One missing feature that is a problem is the lack of GPS. Despite this being a fitness watch, you can't actually go on a run and track your route without bringing along your phone. 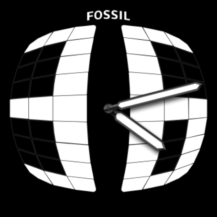 Not cool, Fossil. 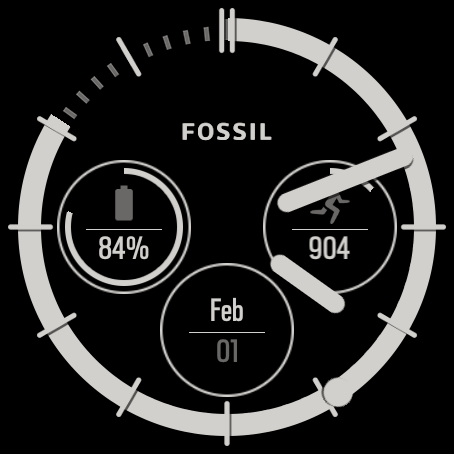 The Fossil Q Control runs the latest version of Android Wear, which is v2.8 at the time of writing. 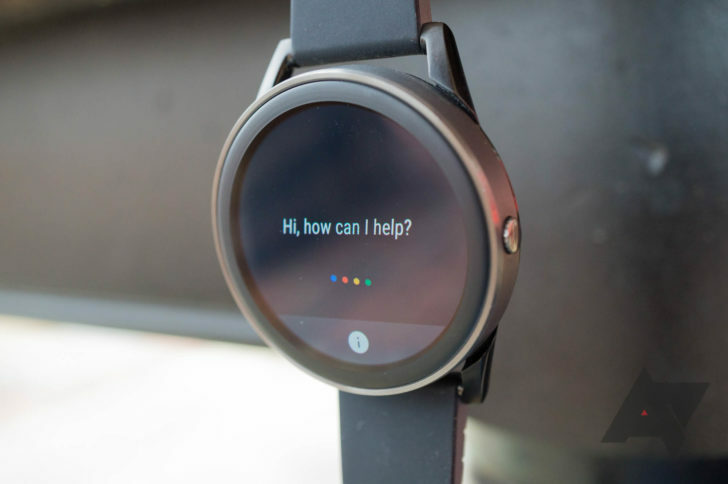 Since Android Wear updates are mostly delivered through the watch's Play Store, instead of through over-the-air system upgrades, you don't have to worry about Fossil delaying important updates. 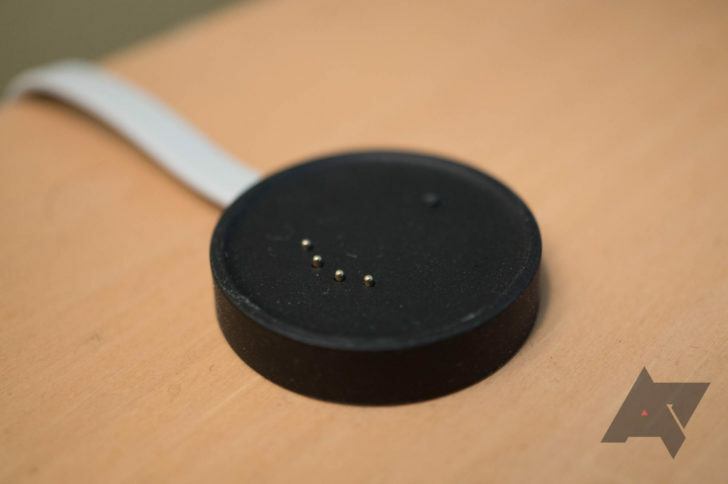 This watch will receive Android 8.0 Oreo at some point, which adds customizable vibration strength, a new touch lock option, and other minor features. At the time of writing, my watch has not received the update, but I'm sure it's coming soon. 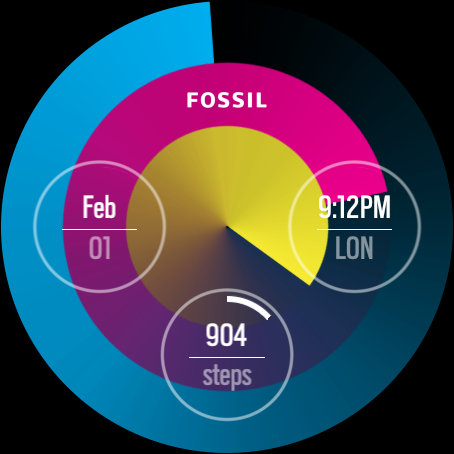 Android Wear generally doesn't allow for much OEM customization, but there are a few additions from Fossil present. 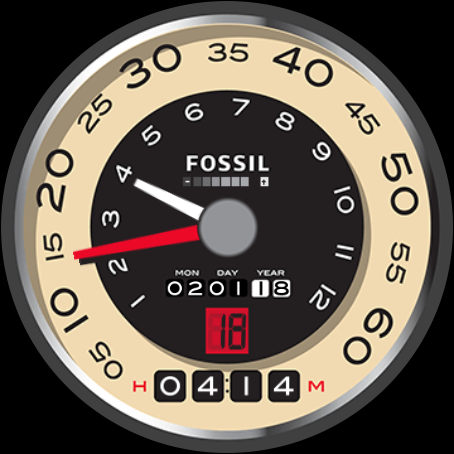 There are 30 included watchfaces, including nine digital faces and 21 analog designs. 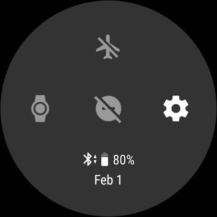 Personally, I stuck with the default 'Sport Digital' face, since the numbers are large and there are three spots for 'complications' (Android Wear widgets). 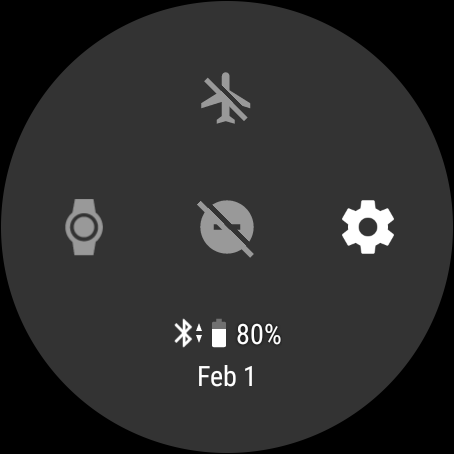 Some of the many included watch faces. Despite the Q Control being designed for fitness use, there are no custom fitness apps included. On the watch's product page, Fossil recommends you use either Google Fit or MySwimPro. Both of these apps are probably better than anything Fossil itself could develop anyways. I used Google Fit multiple times to track runs, and it worked just like tracking runs on any other Android Wear watch. I was unable to test the watch's swim tracking abilities, since it's the middle of winter where I live and no pools are open. In conclusion, the Fossil Q's software experience is pretty much identical to every other Android Wear 2.0 watch. Apps open quickly, animations are smooth, and everything works as expected. I won't go into detail about the current issues and shortcomings with the platform - I recommend reading Ryan's post about the LG Watch Style for that. Personally, I think Android Wear 2.0 is mostly fine, but the un-bundled notifications are still an issue. I also realize this won't be a problem for most people, but I really wish you could switch phones without wiping the watch. 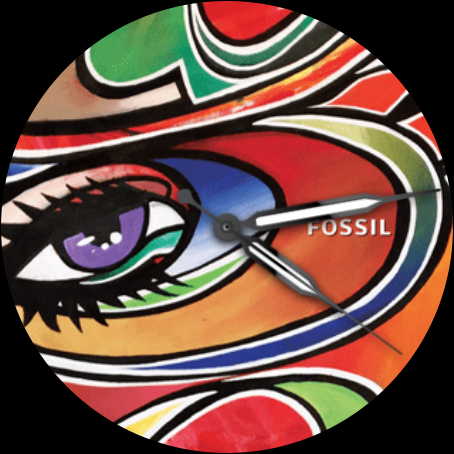 The Fossil Q is a good watch. Yes, it's missing some features I would have liked (like a digital crown and a speaker), but I really like the design and the software experience is fine. The battery life easily lasts for a whole day, and it can even stretch to two days if you don't use it much. Despite all this, it makes almost no sense to buy one. As mentioned above, this is essentially a rebranded Misfit Vapor. It has the same design, charger, hardware, and software. The Vapor is just $200 on Amazon right now, and has gone as low as $140 in the past. 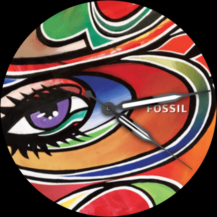 You're essentially paying $75 more for the Fossil name and the company's library of watch faces. I realize many people buy watches based on the brand, but I think most smartwatch buyers are more concerned about the price than anything else. 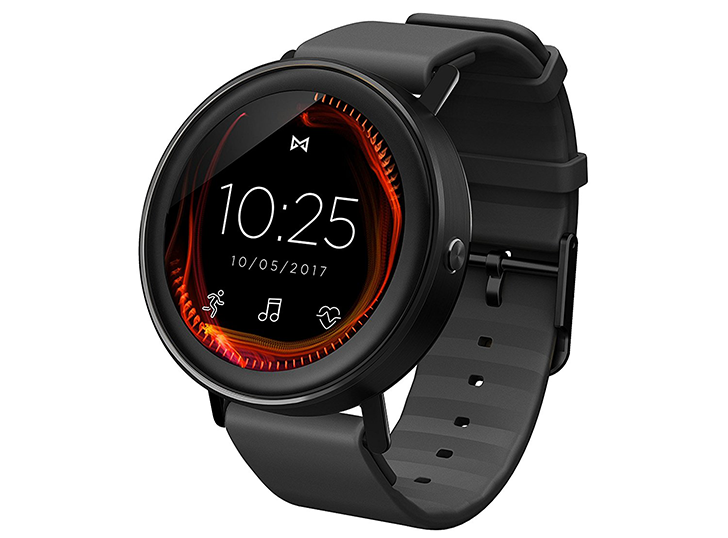 Fossil often has sales on its smartwatches, so if the Q Control ever drops to around the price of a Misfit Vapor, I would recommend it. But at its standard price of $275, there's no reason to buy it over a Vapor.